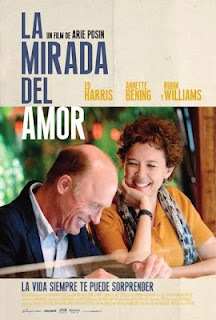 Reparto: Ed Harris, Annette Bening, Amy Brenneman, Robin Williams, Jess Weixler, Linda Park, Jeffrey Vincent Parise, Deana Molle', Leah Shaw, Kim Farris, Christian Mendez, Yuki Bird, Chelsea O'Connor. Guión: Matthew McDuffie y Arie Posin. Producción: Bonnie Curtis y Julie Lynn.